The first offender was Lalremliana (26) who was arrested on Thursday in south Mizoram's Lunglei town for creating public nuisance in an inebriated state. Lalremliana was convicted by the Chief Judicial Magistrate of Lunglei district and sentenced to a prison term of one month. Aizawl, Jan 19 : At least five people have been arrested for violation of the Mizoram Liquor Prohibition and Control Act, 2014 enforced in the state from Thursday last, state excise and narcotics department officials said. The newly-legislated act replaced the Mizoram Liquor Total Prohibition Act, 1995, in force in the state since February 20, 1997 and lifted prohibition of consumption of liquor for the first time after 17 years. At least five people were on Friday sentenced to perform three days of community service each while one was fined Rs 1000 after being arrested for drunk driving by law enforcement agencies under Mizoram’s new alcohol law. All those who were sentenced on Friday were arrested in Aizawl after breath analyser tests showed they were driving under the influence – one was let go after paying a fine because he had only had a few pegs and the test showed “very low” levels of intoxication, said an official directly involved with the cases. 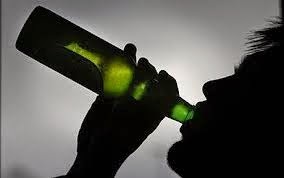 Although it will allow the sale and consumption of alcohol in Mizoram for the first time in almost two decades, the newly enforced Mizoram Liquor (Prohibition and Control) Act has stringent provisions to punish offenders, including those who cause public nuisance and who drink in public spaces. Jail terms range from five days to five years depending on the kind of offences, but judges are also empowered to show leniency by sentencing offenders to supervised community service or, in some cases, fining them. Those who were sentenced on Thursday will be required to clean up the Aizawl Civil Hospital and District Court premises for three days. The government says liquor outlets will open across the state by the first week of March.